Indianapolis, Indiana, has lots of great attractions available all year, including museums, shopping, hiking, and bird watching. In spring, you can enjoy the warmer weather at a wide range of outdoor events. There are also several indoor concerts and art shows. Here are a few of the fun springtime events coming to Indianapolis. This fun festival is on April 22, 2017, at Historic Military Park in White River State Park, and this year’s theme is Celebrating Our Pollinators. The festival lasts from 11 a.m. to 4 p.m., and admission is free. The Indianapolis March for Science is right before the festival at 10 a.m. You can enjoy local vendors, kids’ activities, live music, a beer garden, and over 125 exhibitors. The Recycle Run 5K is at noon along the White River, and participants can run or walk. 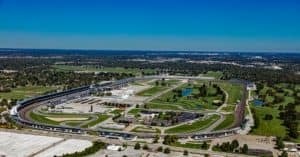 The 500 Festival is a series of special events that lead up to the famous Indy 500 in May. The OneAmerica 500 Festival Mini-Marathon on May 6 is the largest half marathon in the United States, and the 500 Festival Miler Series presented by OrthoIndy consists of three running and walking events. People can participate in the 3-Miler, the 6-Miler, or the 10-Miler. Breakfast at the Brickyard is on May 20 at the Indianapolis Motor Speedway Plaza Pavilion from 8:30 a.m. to 10:30 a.m. You can watch the crowning of the 500 Festival Queen and meet racing insiders and Indiana mayors. One seat is $75 and a table is $850. After breakfast, watch the Indianapolis 500 qualifications and tour the garages. The IPL 500 Festival Parade is on May 27, the day before the Indy 500, and it’s one of the largest parades in the United States. The 33 drivers in the Indy 500 participate, and you can watch in person or on TV. The KeyBank 500 Festival Snakepit Ball is on the same day at the Indiana Roof Ballroom at 6 p.m. This year’s theme is The Art of the Race: An Interactive Art Event, and X Ambassadors will perform live. Many local celebrities and businesspeople will attend. This long series of spring and summer concerts is at Conner Prairie Interactive History Park. The Indianapolis Symphony Orchestra, The Beach Boys, and other popular groups will perform in frequent outdoor shows. You can bring your own chairs, food, and drinks or enjoy VIP tables and chairs and a wide selection of food and drinks. Tickets are $36 for adults and $15 for children under 12. Premium tickets are $42. Discounts are available for people who buy tickets in advance. You’ll need a comfortable, convenient way to get to these fun spring events. Stop by Eastgate Chrysler Jeep Dodge Ram to test drive a new car or a well-maintained used vehicle. A searchable online inventory makes finding the vehicle you want easy, and our skilled staff have many years of experience. We can help you get low prices and great financing.